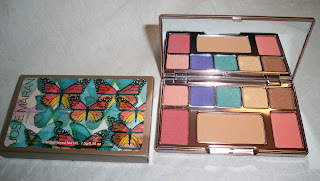 Home josie maran Josie Maran Cosmetics - Spring Colorful Look, Review & Giveaway! 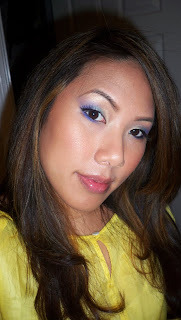 Josie Maran Cosmetics - Spring Colorful Look, Review & Giveaway! I had the opportunity to try out the Josie Maran Cosmetics line. I was really excited to review it as I've heard great testimonials on it already. To do a complete and accurate review, I had to make sure and do a little research. I found out that many of Josie Maran's cosmetics and skincare was infused by a natural healing ingredient called Argan Oil. 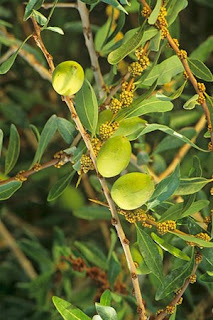 This oil is derived from the fruit of the Argan Tree located in the desert regions of Morocco. It is an amazing natural oil that heals scars, moisturizes, anti-ages and more. Josie Maran decided to tap into this natural resource and include it in her cosmetics line. 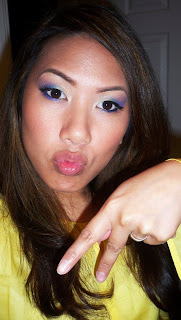 To see more of my review as well as my fun, colorful Spring Look and Tutorial featuring these products, click here! I am huge on wearing hair serum as part of my regular hair routine. Without it, my color treated hair feels dry and straw-like. I like how this product came packaged with a pump - a lot less mess! One pump is enough to cover my entire head of hair. I like to put it on my damp hair, right out of the shower. After I blow dry, I apply one more pump to my dry hair to add shine and smooth out frizzies. Make sure to avoid the roots where our natural oils are plentiful. 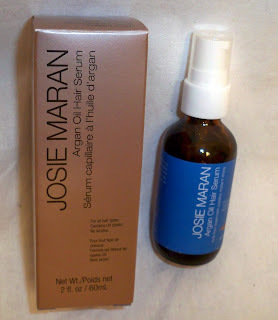 This Argan Oil serum isn't just hype on another natural oil on the market - it really made my hair soft and shiny! I love how it's not sticky and super greasy like other cheap hair serums. Loves it! I ordinarily wouldn't have purchased such a product, but after finding so many uses for it, it has become a staple in my purse. The amazing Argan Oil is housed in a solid form in this travel friendly stick. It can be used for a gazillion purposes: rub it onto your fingers and apply to hair fly-aways, use it as a lip moisturizer, apply to dry spots on the face, moisturize your cuticles, heal dry rough heels, and more! I love the smell of this...it's very herbal and refreshing. The oil serum is nice too but it has more florals infused in it. This makes an amazing heal-all item that's great as a present or purse companion. You get a nice amount of gloss and the color I tested out, Daring, was the perfect match for me - my lips but better. It applies with a nice lip brush wand (I prefer this) and is not sticky at all. The gloss has a gorgeous high shine without looking like glass. It has a pleasant caramel scent and taste. Though it's a plumping gloss, it doesn't give the typical unpleasant stinging sensation. Instead, it is infused with mineral collagen to naturally add a little plumpness. I'm in love with this color! First off, can you say adorable packaging? The pinky bronze case comes with a gorgeous butterfly design. Mind you, it is a sticker so it may peel over time. I love how the packaging is slim which makes it perfect for travel. When you open the palette you'll notice all of the gorgeous colors inside. These colors contain brights as well as neutrals. 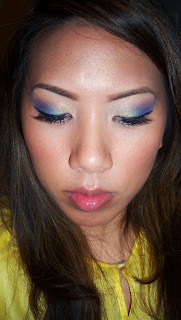 This is great for those who love colors because the jewel tones can be packed for a dramatic look. Neutral lovers will also love this because you can apply the fun colors more subtly with a sheer wash of color or wear the neutrals- pink, gold, and bronze colors included. Overall, these shadows are nicely pigmented and have a gorgeous, satin finish. The colors photograph nicely since they aren't overly shimmery and the slight sheen allows them to apply easier than mattes. Here's the first look I created when testing out this palette. I show a more neutral look with a pop of color. The palette also contains two blushes - I love the peachy toned one that I rock in the video as a great everyday blush. They also have a darker/reddish one great for a dramatic blush or for darker skin tones. Again, these have more of a satin sheen that makes it great for day or night and for pretty much all age ranges. For once, an all in one palette has blushes that are actually smooth and pigmented! The palette also contains a bronzer. This shade happens to be close to my natural skin tone - so instead of acting as a bronzer, it works as more of an overall illuminzer which photographs super pretty. This shade might work as a bronzer for more fair skin tones...but those darker might have difficulty with it unless perhaps using it as a highlighter. The powders have a slightly weird smell, probably due to the natural argan oil, but the smell isn't noticeable once applied and is only apparent when you apply the powder right to your nose. Besides that, this palette is a plus! 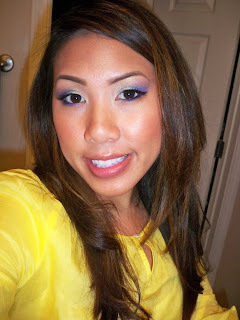 I used the Josie Maran Products to create a fun, colorful look, appropriate for those who love neutral or bright looks. This is a great introduction into softer, spring colors. I can already picture myself wearing this to a slew of spring/summer weddings. 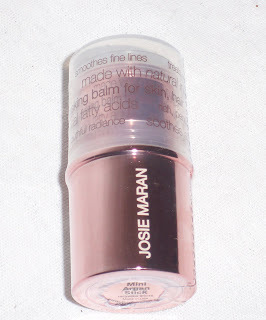 All in all, I was highly impressed with the Josie Maran cosmetics line. I was able to try products for the face, hair as well as cosmetics and I really liked everything I sampled. I love how the brand focuses on natural ingredients and a focus towards supporting women. This brand is priced accordingly with other high end cosmetics in department stores - it is of excellent quality and the price coincides with this. 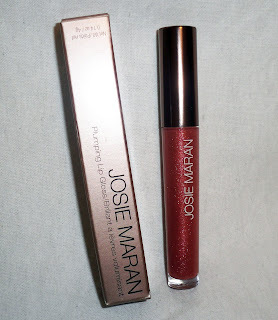 Not only is it available directly from http://www.josiemarancosmetics.com but it's also easily accessible at http:www.sephora.com. FTC Disclosure: The products reviewed in this video were provided by the company for consideration. I am not affiliated with this company and not paid to write this review. These are my honest thoughts. Beautiful!You look amazing Ren! I've been meaning to try her products!! Yes she did an incredible job! The colors r so wearable! I'm loving the packaging of the prod tooo! I've heard great things about her products, thanks for the review! I just started using Argan oil on my hair and I must say that I'm in love with this stuff! I can't wait to try makeup that's infused with it. Where can we get more information? Very pretty look as always. I really like that Spring look! And yellow looks fab on you, too! Looks promising, thanks for the review! Very flattering colours for all skin types! Looks like an amazing find! The colors look great for spring! heard great reviews of this product so far. I feel this is different from your regular look but it suits you very well. A little extreme but very pretty. I can't wait for spring! Haha, I meant LESS extreme. I think is def a very wearable look. I follow Josie Maran on twitter :D I bought Loreal's Nature's Therapy Mega Moisturizing Nurturing Creme (whew, that's long!) when I saw that you recommended it in one of your videos. IT IS MY HG DEEP CONDITIONER. I have more faith in the oil after reading that it was successful for you (: Thanks! This is a beautiful look Ren. oh my gosh the colors in that palette are amazing.would love to try them.BTW nice makeup. I love the colors in this look! The jewel tones are so pretty. Im going to have to try that oil. 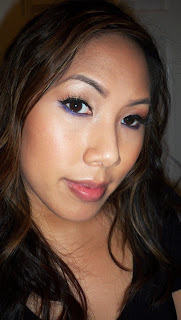 the lavender shadow works really well with your skin tone! i travel frequently so having an Argan Oil Mini Stick in my handbag would be really helpful! Thanks for your review on the Argan oil moisturizing stick. I really like the smell and my face tend to get so chapped like from sun burn it helps me soothe my face with it. I wish I knew about this sooner, so I can prevent from my face getting a sunburn from my Florida trip, but it'll be great to pack this whenever I go on a vacation.